Green shield bug on a leaf. 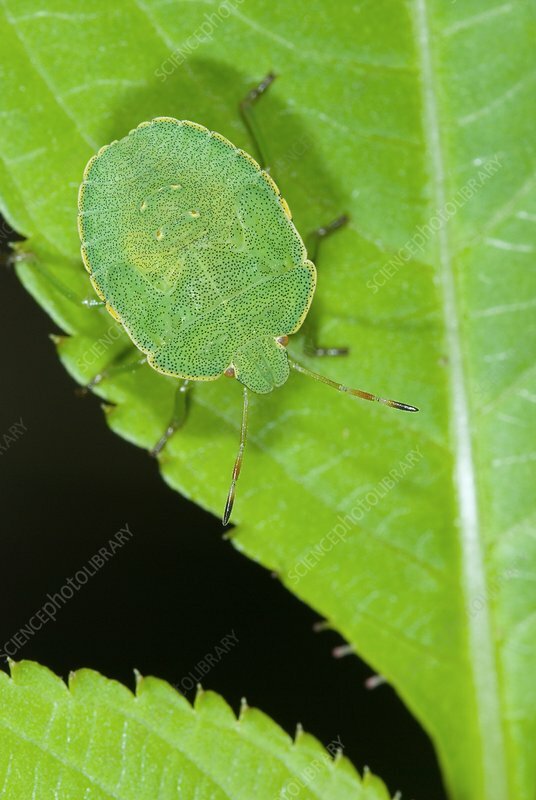 Green shield bugs (Palomena prasina) are very common throughout Europe. Photographed in Wroclaw, Poland.